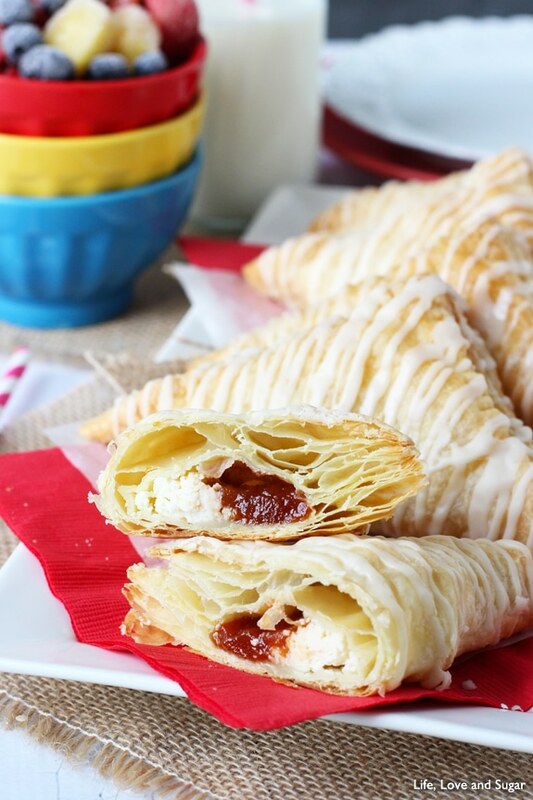 These Guava and Cheese Pastries are one of the easiest breakfasts you’ll ever make. But don’t think that easy means lack of flavor, because in this case, it most certainly does not. 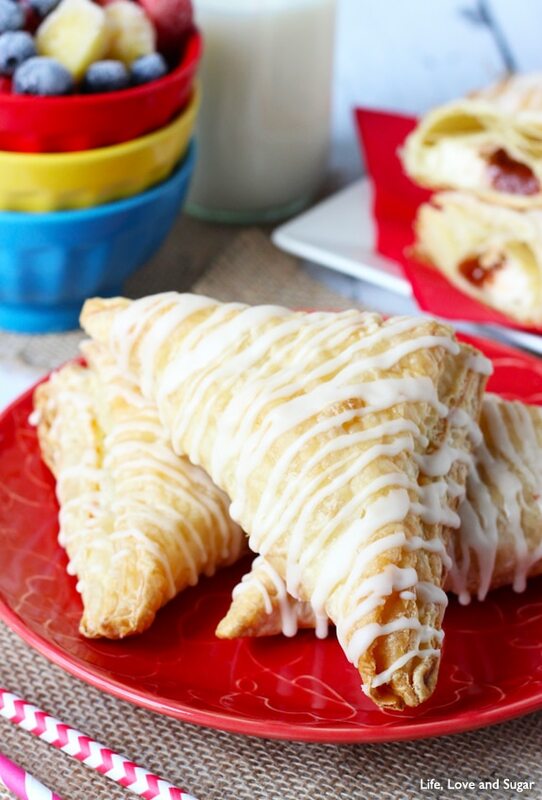 These pastries are delicious! So I’ve mentioned it before, but the hubs and I used to live in South Florida – Fort Lauderdale to be exact, which is just north of Miami – before moving to ‘burbs of Atlanta. We absolutely loved it there. And honestly, I didn’t fully realize just how much I loved it until we’d already left. Yes, it’s kind of a concrete jungle. And it can get SUPER hot. But. It is warm all year long. The beach is amazing. The culture and food are amazing. I love all the salsa! I can’t do it myself, but I love to watch. Plus, we have some pretty fabulous friends that live down there. If it weren’t so far away from our families, I think we’d move back in a heart beat. We’ve taken a trip back pretty much every year since we’ve moved. And lucky for me, BlogHer Food, a food blog conference, is going to be held down there in just a couple short weeks! I cannot wait!!! It will be my second blog conference, though my first food specific blog conference. I can’t wait to see the wonderful people I met back in February again and meet new people. Plus, it’s in Miami. I keep trying to figure out in my mind how I can just go and not come back. Love. One of my co-workers used to bring in cuban pastries from an authentic bakery in Miami every one in a while. We pretty much fought to the death over them. Such a fabulous group of people they were – not afraid to declare their love for food and fight for it. Well, there were three kinds of pastries he usually brought – guava, cheese and meat. Since we know I’m a sweets gal, though I liked the meat it naturally wasn’t my first choice. I did become a big guava fan though. Bring on the guava pastries and desserts! So in honor of my upcoming trip (!!! 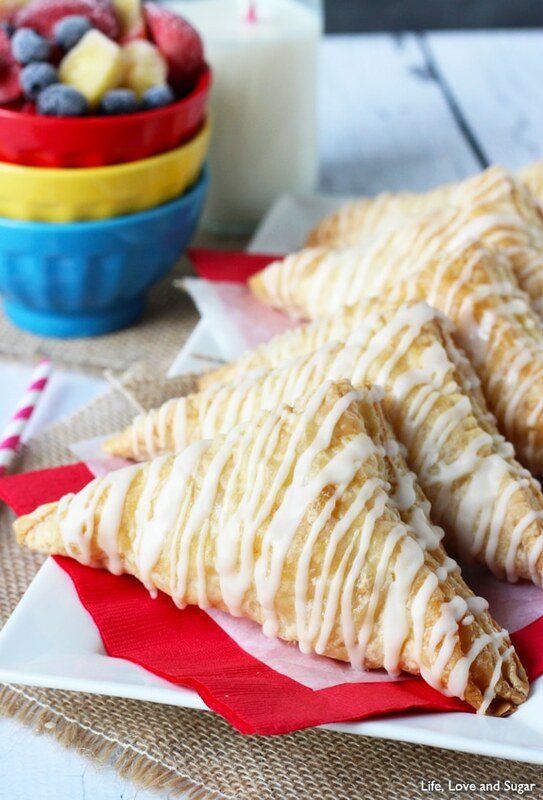 ), I finally made a quick and easy version of these fabulous cuban pastries. But instead of having to choose between guava and cheese, I combined them. 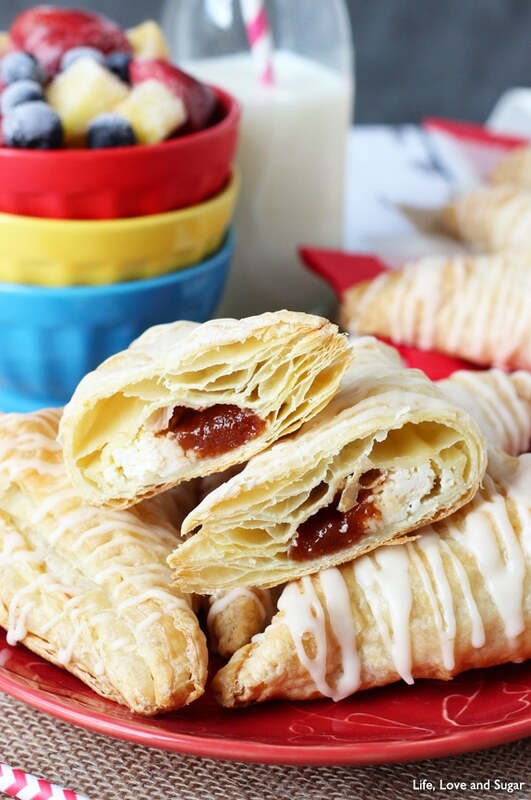 And to make them extra easy – because who wants to spend hours on breakfast in the morning – I used puff pastry. Oh. Em. Gee. You guys. I have been wanting to try puff pastry for forever! Why have I waited to long?! Another thing to love! And the pastries themselves were a hug hit! I had no idea the hubs and my taste testing co-workers were such breakfast pastry fiends! These things didn’t stand a chance. Too bad I’m kind of trying to lose a little weight and didn’t allow myself to eat much of them. I mean, hello. Bathing suit weather is officially upon us and you will never find more skinny and beautiful people than in Miami. It’s like they put something in the water. 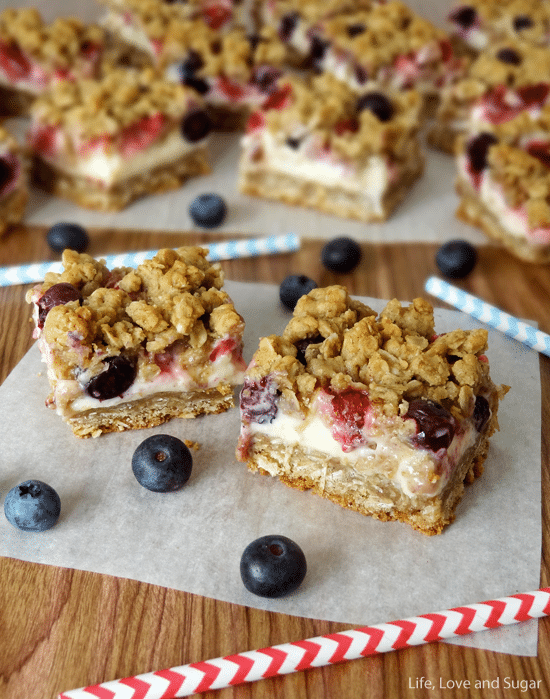 Anywho, these are delicious and you should totally make them. And now that I know how big of a hit breakfast pastries are, I’m thinking I need to make more of them. What do you think? 1. Make simple syrup by adding water and sugar to a pot, then bring to a boil. 2. Allow to boil for one minute, then set aside to thicken. 4. Sprinkle flour onto your counter top or work surface to keep pastry from sticking. 5. Unfold puff pastry sheets into two 8 by 8 inch squares. 6. Use a pizza cutter or sharp knife to cut each sheet into 4 squares. 7. Cut cream cheese length wise into 8 pieces. 8. 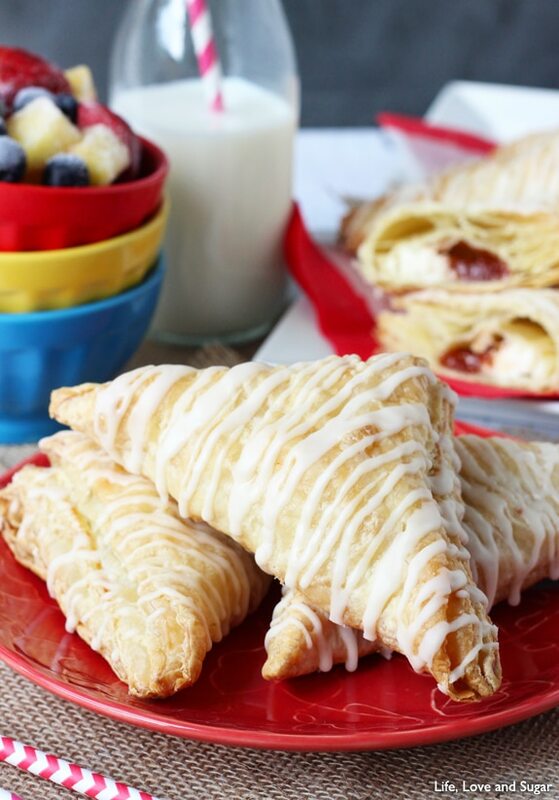 Place one piece of cream cheese diagonally in the middle of each pastry square. 9. 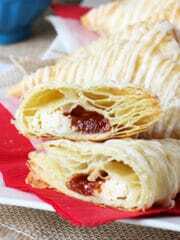 Place a similar sized piece of guava paste diagonally in the middle of the pastry squares, with the cream cheese. 10. Brush the edges of the squares with the beaten egg, then fold the upper half of the square over the filling, making a triangle. 11. 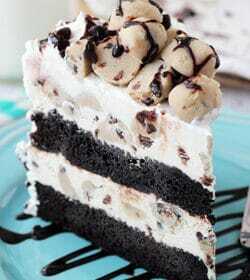 Use a fork to crimp the edges and close the pastries. 12. Place pastries on a parchment lined baking sheet and bake 25-30 minutes, or until golden. 13. While they are baking, whisk together the powdered sugar, milk and vanilla to make the glaze. 14. 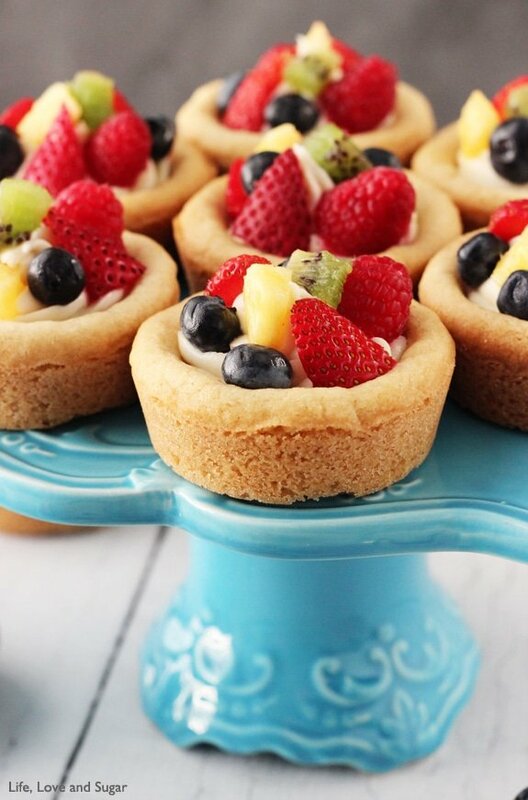 Remove pastries from oven when done and allow to cool on cooling rack. 15. After placing on cooling rack, brush pastries with a think layer of the simple syrup, then drizzle with the glaze. 16. Serve warm or allow to cool, then serve. I LOVE guava pastries. A friend of mine introduced me to them and I always buy them whenever I find them, but I’ve never made them myself. Definitely need to try these. See you in Miami, Lindsay! These are totally gorgeous!! If the water in Miami makes you skinny, I know what I will be doing the whole time. I can’t wait to see you!!! Thanks Julianne! Lol – totally – let’s get drunk on skinny water 😉 Can’t wait! I’ve only heard of guava in juice blends, and I’ve never even thought about what it is really. This is the first time I’ve seen it used in a recipe, and your pastries look so perfect that now I need to go find some guava paste! Thanks Andi! 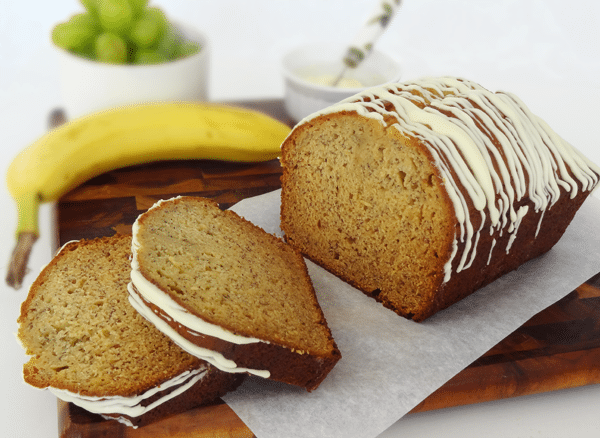 Guava is delicious is baked goods, you should definitely try it! Omg…was it by any chance Versailles that the inspiration came from? While in Miami, I had one…and then another very quickly! 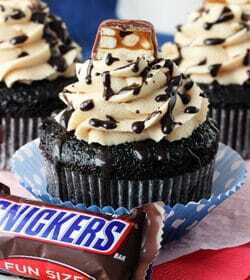 So these are a must-make! So nice to meet you.